Dane Reay and Rebecca Bartley inside the home they have renovated in Windsor. THEY went for three months without hot water and had to climb a ladder to get in and out of the house, but it was all worth it if you ask Dane Reay. 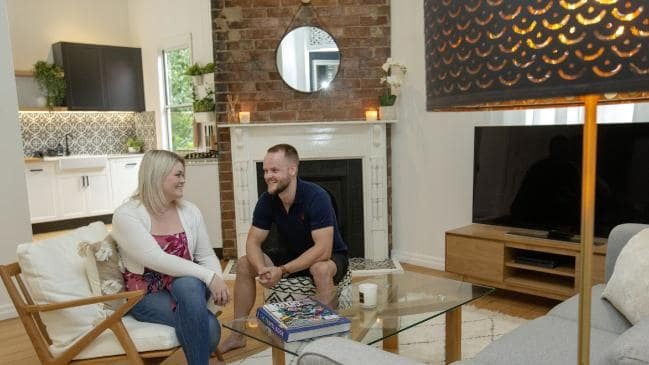 The Brisbane fly-in-fly-out worker with a passion for home renovating admits his partner, Rebecca Bartley, was a “trooper” to live through their latest project. The couple stumbled across the tiny, rundown cottage in Windsor on their way back from another disappointing home inspection. BEFORE: The front of the house at 101 Victoria St, Windsor, before it was renovated. 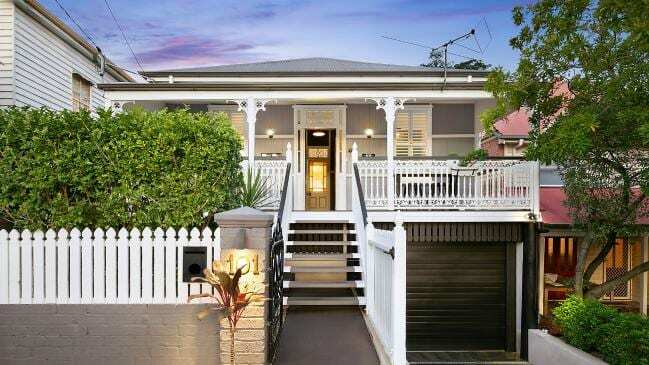 AFTER: The front of the house at 101 Victoria St, Windsor, post renovation. “We kept missing out on everything,” Mr Reay said. “We’d go to an open home and they’d be under contract already. 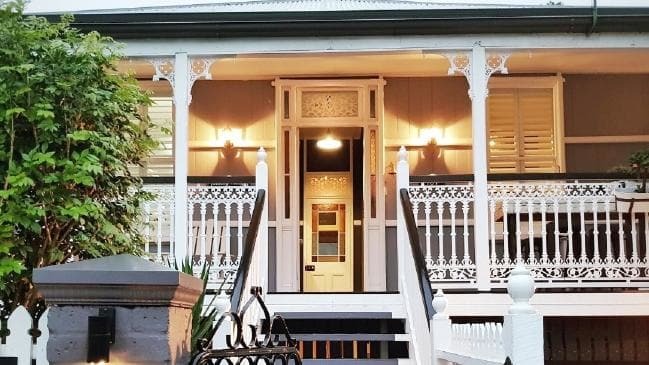 One day, they had been to an open house in Wilston and were on their way home when they saw an agent hammering in a for sale sign for a property at 101 Victoria Street. “We stopped and asked if we could have a look inside the next morning and (the agent) agreed,” Mr Reay said. BEFORE: A close-up of the front of the house at 101 Victoria St, Windsor, pre renovation. AFTER: A close-up of the front of the house after the renovation. 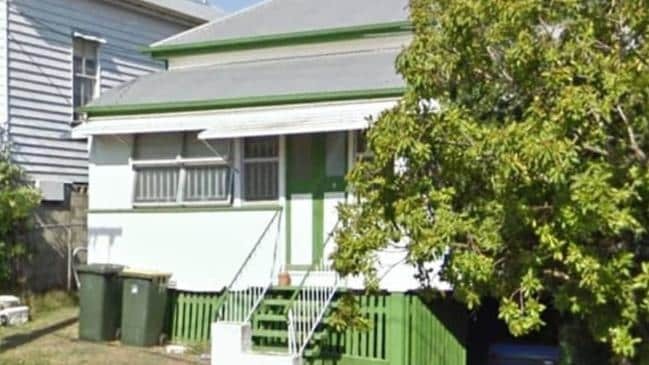 Mr Reay said he could see the character of the home hidden behind the “ugly asbestos sheeting”. “I knew there was a beautiful swan behind it!” he said. But little did the couple know just how much hard work they had ahead of them in restoring the circa 1910 cottage to its former glory. 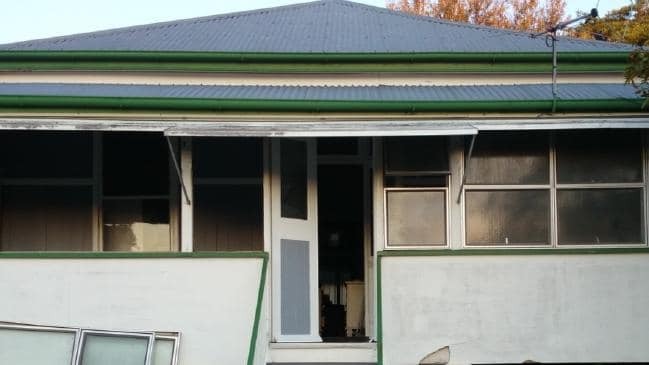 “You could drop a tennis ball inside the house and it would roll from one end of the house to the other, the stumps were that bad,” Mr Reay said. BEFORE: The back of the house at 101 Victoria St, Windsor, before the renovation. AFTER: The back of the house at 101 Victoria St, Windsor, after the renovation. They lived in the house for six months before starting the renovation process. The first stage involved excavating underneath the house to create a lower level. 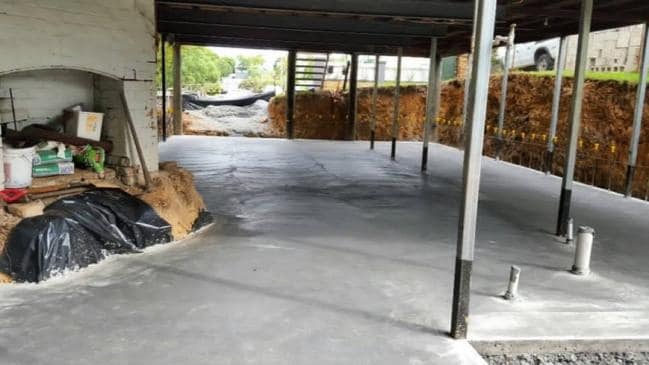 “We needed to get the foundations sorted,” Mr Reay said. “We couldn’t lift the house because the old fireplaces wouldn’t have survived, so that’s why we had to excavate instead of going up. Then it was time to pour the concrete slab and install retaining walls. 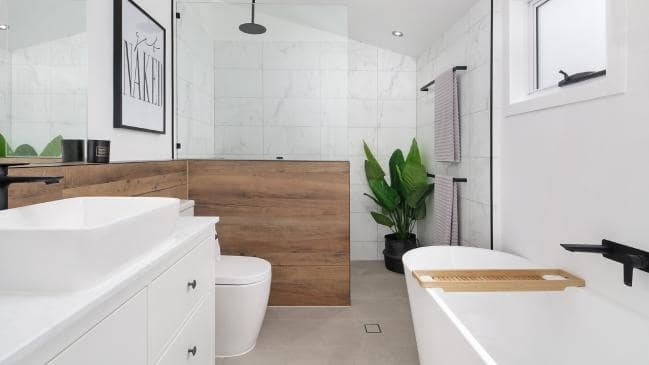 The couple moved out for a couple of weeks during the excavation and installation of new plumbing, but then moved back in for the rest of the project. BEFORE: The kitchen before the renovation. 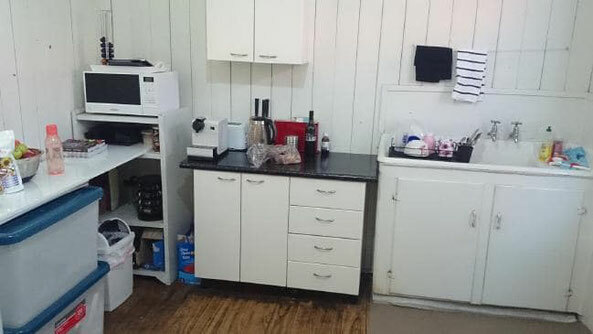 AFTER: The kitchen after the renovation. 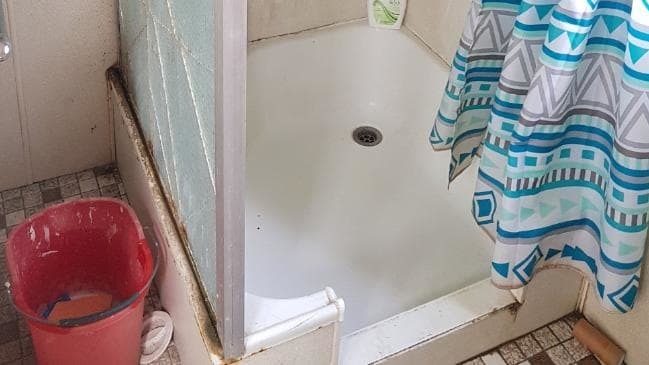 “At one stage we had no hot water hooked up, so it was the middle of winter and we were showering by boiling a kettle and using an electric camp shower,” Mr Reay said. “That lasted about three months because I was too tight to pay a plumber to hook it up. Due to the nature of Mr Reay’s FIFO work, there were many delays. The couple decided to keep the renovation inside the footprint of the original house to save time and money on development applications. “Then we started closing it in slowly,” Mr Reay said. “I removed two walls upstairs — one to create a dining area and we used that wall as a barn door for the master bedroom. BEFORE: The bathroom before the renovation. AFTER: The bathroom after the renovation. Upstairs, the third bedroom became part of the open plan living, kitchen and dining area modelled around the feature fireplace. 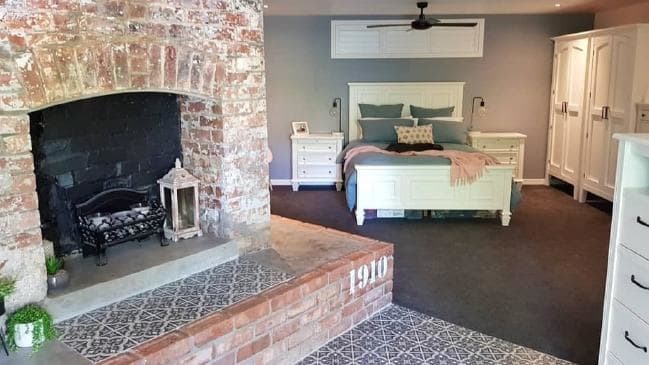 They exposed the brickwork on the fireplace and got creative by making one side a feature wall. “We were just in Paddington one day at a cafe and I got the idea from that so got home and got a bit creative with the paint brush,” Mr Reay said. The other original two bedrooms and bathroom were left untouched and a back deck was added. Downstairs, the master bedroom is accompanied by a study/fourth bedroom, ensuite, laundry and garage. BEFORE: The living room before the renovation. AFTER: The living room after the renovation. 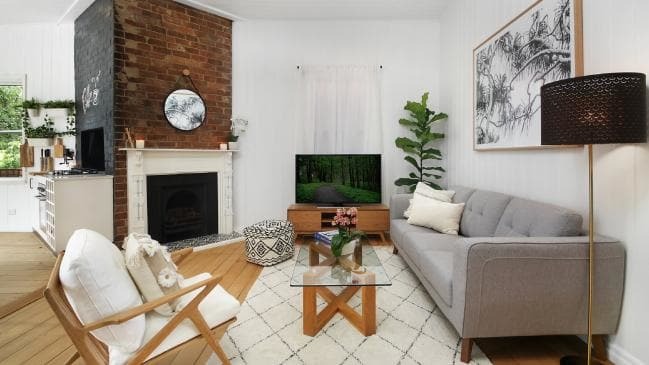 Mr Reay said one of the most challenging parts of the renovation was filling in the gaps between the hundreds of original VJ walls in the home. “We went through about 300 tubes of ‘No More Gaps’ — that was a nightmare of a job,” he said. 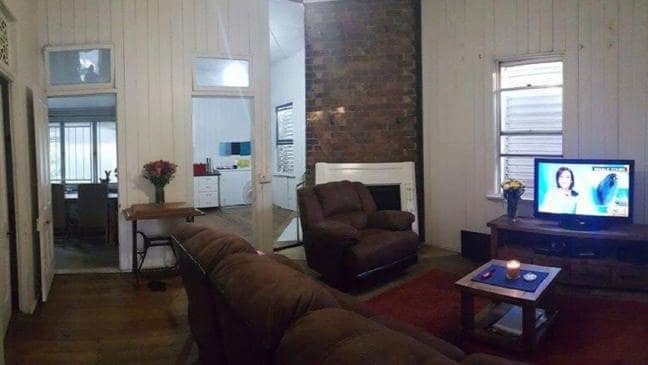 “To save on money, I did all the demolition work, a bit of the bricklaying, a lot of the framing downstairs, and some tiling, painting and landscaping. “A lot of the cosmetic stuff where I thought I could get the same look as a tradesperson, I had a crack at. BEFORE: The concrete slab is laid for the master bedroom downstairs. But they called in the professionals for the structural, electrical and plumbing work. 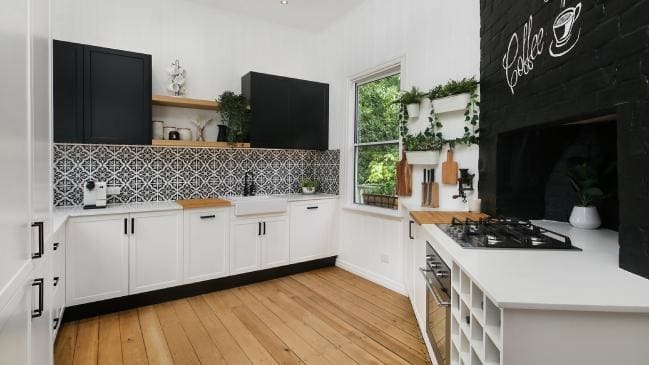 Not bad considering it was their first house renovation. In fact, the end result is so impressive that the property has been selected to grace the pages of Home Beautiful magazine. 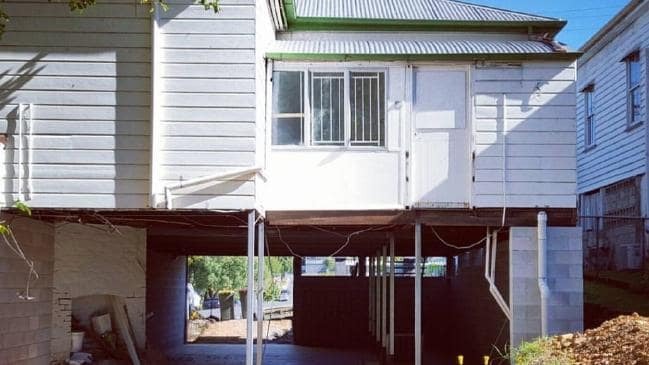 Mr Reay said the couple are planning to use any money they make on the sale of the property to move back to the Sunshine Coast. 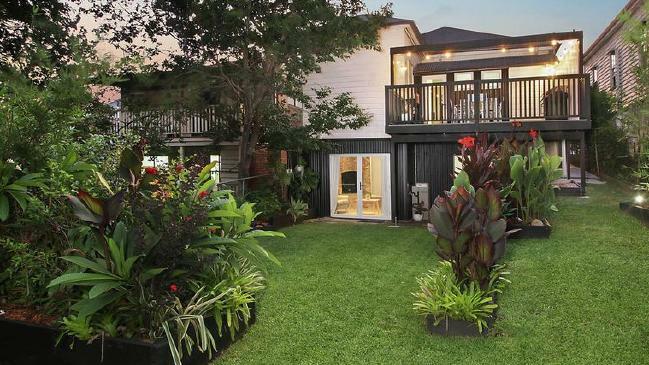 The property is being marketed without a price guide by Craig Lea and Cayle Blaxland of McGrath Estate Agents - Wilston. Contact Us For A Free Home Renovation Design Quote Today.